Unbroken Adriatic panoramas. A range of spaces that stretch from intimate to spacious, created with luxury in every detail. And full use of the community’s extensive array of facilities. Whether you’re planning a private celebration for loved ones or a showstopping business event, Portopiccolo’s natural beauty makes it the perfect setting for an unforgettable occasion. Planning a conference, workshop or product launch? With three versatile spaces, each outfitted with the state-of-the-art audiovisual equipment and facilities, the Portopiccolo Pavilion offers a truly modern conference centre for any kind of event. 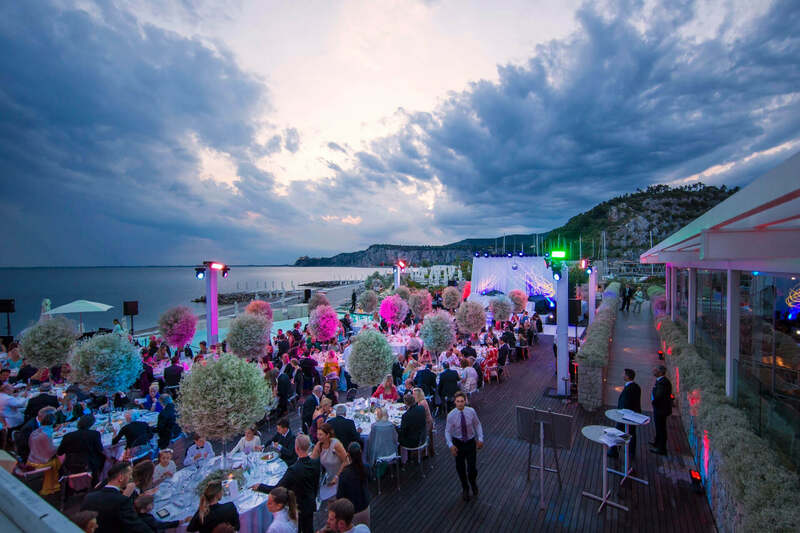 The Pavillion’s largest room enjoys epic widescreen views over the Gulf of Trieste. More than 560sqm of space can accommodate up to 350 guests, making it ideal for keynote speeches and large visual presentations. Capable of seating up to 215 guests, Saturnia can also be divided to create a duo of flexible venues. Each room is outfitted with the latest audiovisual equipment, and makes a comfortable space for a range of occasions from business meeting to wedding. This is the most intimate of the main rooms, yet still offers a versatile space that can seat up to 90 people. It’s perfect for seminars, networking events, exhibitions and classroom-style situations, and can also be set up in amphitheatre style. For smaller scale meetings, choose Svevo. With space for around 30 guests, it’s ideal for pitches, larger presentations or those occasions you just need to get everyone around a table. With cutting-edge audiovisual equipment in a compact space, Rilke is a good option for idea-generation sessions and other more personal events. Includes room for up to eight people. This is the most intimate space at the Pavillion, with seating for six guests. Saba is perfectly equipped for business meetings, with screens, telephones and all the other modcons. The most special day of your life deserves a venue to match. Choose Portopiccolo and take your pick from a range of elegant venues, each offering spell-binding views across the Adriatic Sea. Whatever you have in mind, our experienced event planners can help you plan every aspect of your day, from flowers and catering to music, dancing and even any special requests. 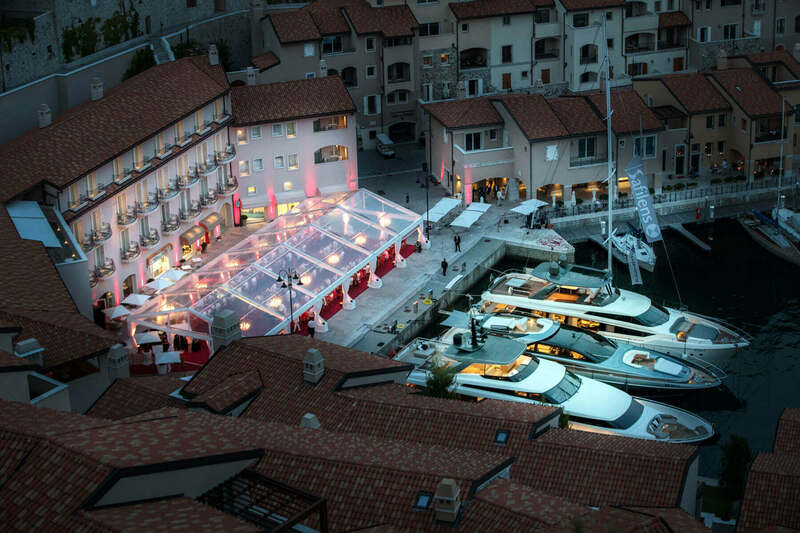 Portopiccolo’s unparalleled setting makes for an unforgettable venue for any kind of party. Whether you’re organising a celebration for yourself or plan to surprise a loved one, our planners can draw on experience creating engagement parties, graduation celebrations, Hanukkahs, Christmas parties and more, to create your perfect day. 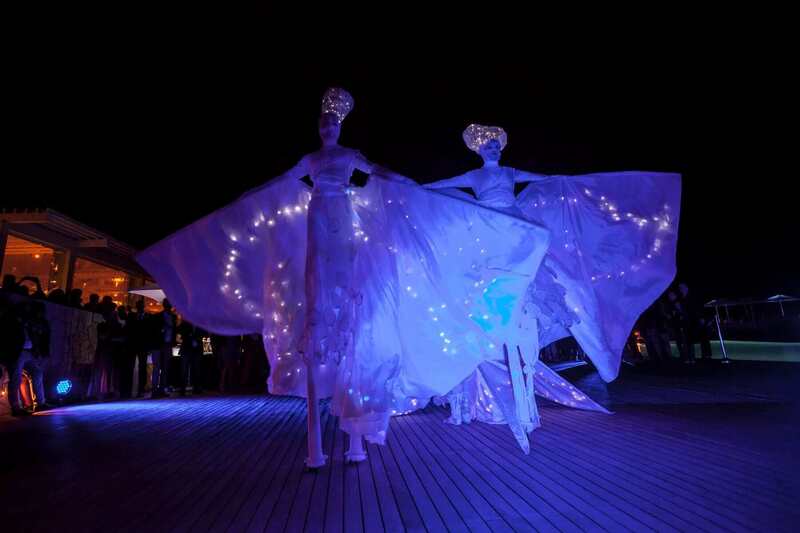 For as long as you’re in Portopiccolo, you enjoy an open inviation to the many events the community has to offer. That means frontrow seats for the Barcolana Regatta, the world’s largest sailing event, as well as regular fashion shows, concerts, art, design and dance exhitions. 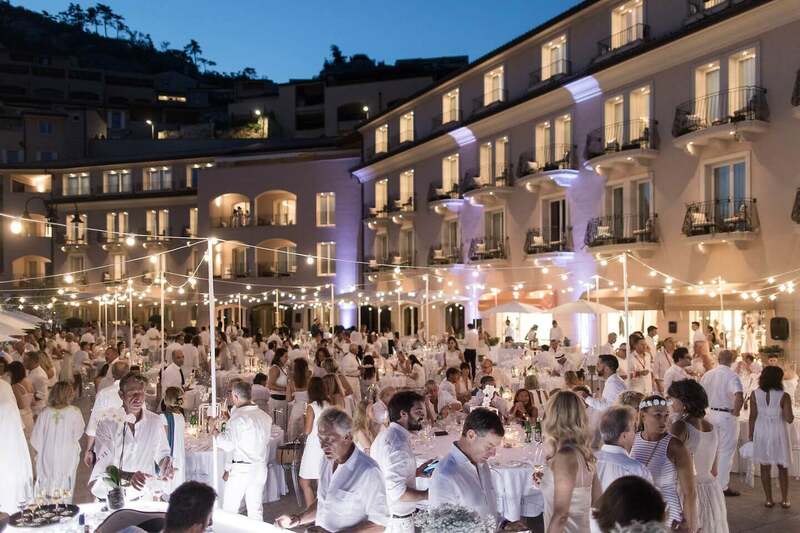 All that, plus annual must-visits like Notte Bianca, when Portopiccolo array of boutiques remain open to midnight, soundtracked by joyous sets from live DJs. Grand or intimate, corporate or personal: whatever kind of event you’re dreaming of, our attentive venue and catering staff are ready to make your vision a reality. With a range of flexible venues, we’re able to cater to almost any kind of occasion, from wine tasting and cocktail masterclasses to product launches, press days, art exhibitions and fashion shows. Speak to the team today and find out how we can bring your dream event to life.